The Garden Lounge serves as a welcoming interior garden rest and recharge area for visitors featuring live plants and a relaxing atmosphere with botany content as a frame. Bright sunlight, enhanced seating and designated outlets for charging mobile devices welcome visitors to the space. Content focuses on stories of plants—their history, their diversity, and how they disperse and grow. 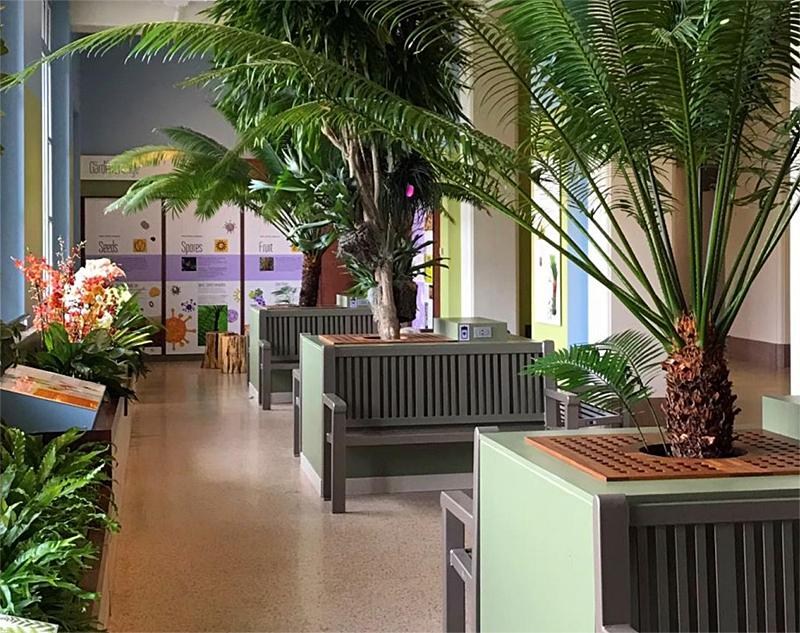 Though the primary function of this space is to give visitors a break from the hubbub of the museum, these botany themes help fill in an important and underrepresented part of the story of natural history.